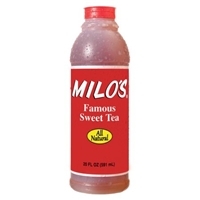 bweet Tea re Cane lea Itives com 6 Nutrition Facts Serving size 8 oz. (240 ml) Servings per container: 16 Amount Per Serving Calories 75 Calories from Fat O Total Fatog Sodium Omg 0/0 Daily Value* 0% 0% Total Carbohydrate 19g 6% Sugars 18g Protein Og 0% Not a significant source of sawrated fat, cholesterol, dietary fiber, vitamin A, vitamin C, calcium and irona *Percent Daily Values are based on a 2,000 calorie diet. 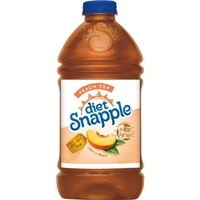 Brand/Manufacturer: Snapple Dr Pepper Snapple Group, Inc.
Our real tea starts with the finest tea leaves and is made from: filtered water, citric acid, tea, aspartame, potassium citrate, natural flavors, malic acid. Gluten free.phenylketonurics: contains phenylalanine.